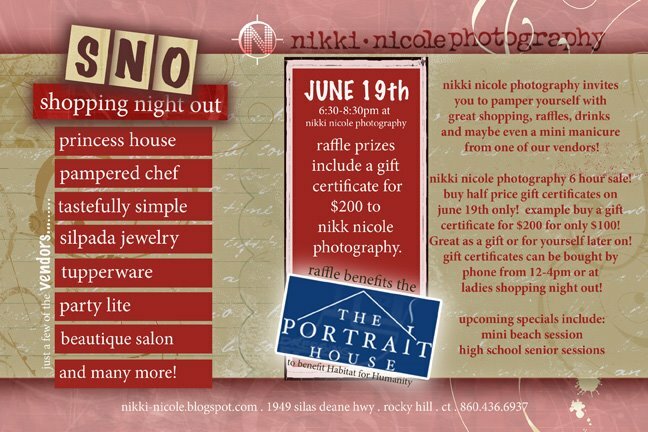 NIKKI NICOLE PHOTOGRAPHY: GNO = GIRLS NIGHT OUT ... SHOPPING!!!!!! THATS RIGHT ............ ITS TIME DO TO A GIRLS NIGHT OUT SO WHAT BETTER WAY TO DO THIS THAN SHOPPING!!!!!!! come and you will see!!!!! So that means I can't come?? eric if you want to come sure!!!!! !